Below you will find information about each of the SIMS Partners and a brief desription of their role in SIMS. Epiroc Rock Drills AB is a company based in Sweden (registered at Stockholm stock exchange) founded 1873. It has operations in more than 180 nations all over the world. The company has a turnover of more than 10 B€ (2015) and over 43 000 employees. The Mining and Rock Excavation business area is one of the largest suppliers of mining equipment in the world. It is also active all over the world but a large part of the development is done in Sweden. The business area has a turnover of about 3 B€ and 12 000 employees. Epiroc Rock Drills AB is the legal entity for the Mining and Rock Excavation business area, including development of mining machines and services. 1. Coordinate and manage the SIMS project, including leading WP1. 2. Lead and key participant in the WP6 “Battery Powered Mining Equipment”. 3. Be a key participant in the following work packages: WP2, WP4 and WP7. The main Tasks related to Epiroc participation in SIMS will target Project Management and Demonstration of sustainable rock excavation technology including Drilling, Rock support, Loading and Hauling. ABB Mining offers comprehensive market-leading packages of ABB competencies, products and services for the complete production chain in mining and mineral processing industries. ABB Mining employs about 1900 people in 32 operating countries and has a long list of references in underground mining, open-pit mining, material handling, minerals processing and service. The role of ABB in the project will be to lead work with demonstrating integrated automation solutions in WP4 and the robotization of mining processes in WP5 with remote controlled charging. 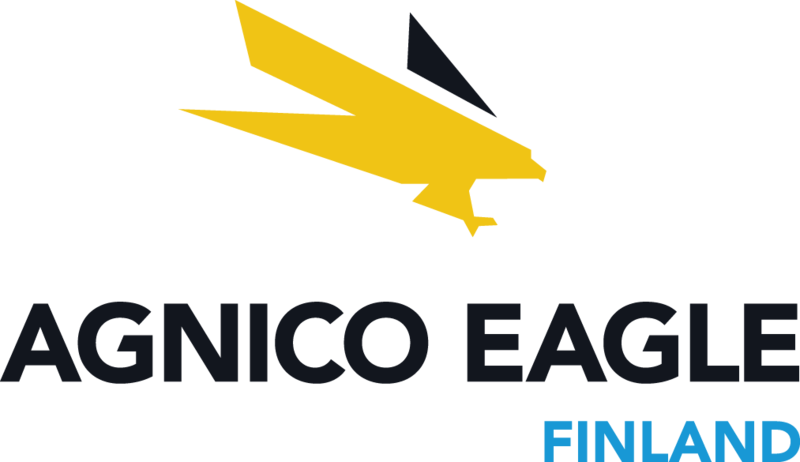 Agnico Eagle took flight back in 1957, when mining legend Paul Penna brought together his silver-producing interests in Cobalt, Ontario with his gold exploration activities in the Abitibi region of northwestern Quebec. The eventual merger of Agnico Mines Limited with Eagle Gold Mines formed Agnico Eagle, today one of the largest gold mining companies in the world. The Kittila mine is the largest primary gold producer in Europe. It is located in the Lapland region of northern Finland, approximately 900 kilometres north of Helsinki and 150 kilometres north of the Arctic Circle. With a mine life estimated through 2035, Kittila is Agnico Eagle longest-life mine; its proven and probable gold reserves contain 4.4 million ounces (28 million tonnes at 4.80 g/t gold). Ore has been mined from underground since 2010. The role of Agnico Eagle in the project will be to offer the Kittilä site for testing of various new technologies. The main Tasks related to this participation will target battery powered equipment, WP6. Boliden is a leading metals company with a commitment to sustainable development. The company’s core competence is within the fields of exploration, mining, smelting and metals recycling. Boliden operates six mining areas and five smelters in Sweden, Norway, Finland and Ireland. Boliden has a total of approximately 4,900 employees and an annual turnover of approximately SEK 40 billion. Its shares are listed on NASDAQ Stockholm, segment Large Cap. Boliden creates stable and long-term value for its shareholders, employees, customers, suppliers and local communities. By providing resources and the efficient refining of the base and precious metals that society needs, and which are recycled after use, Boliden is an important component of the circular economy. Ericsson is a world leader in communications technology, providing equipment, software and services to enable industry transformation through mobile communication and digitalization of information. 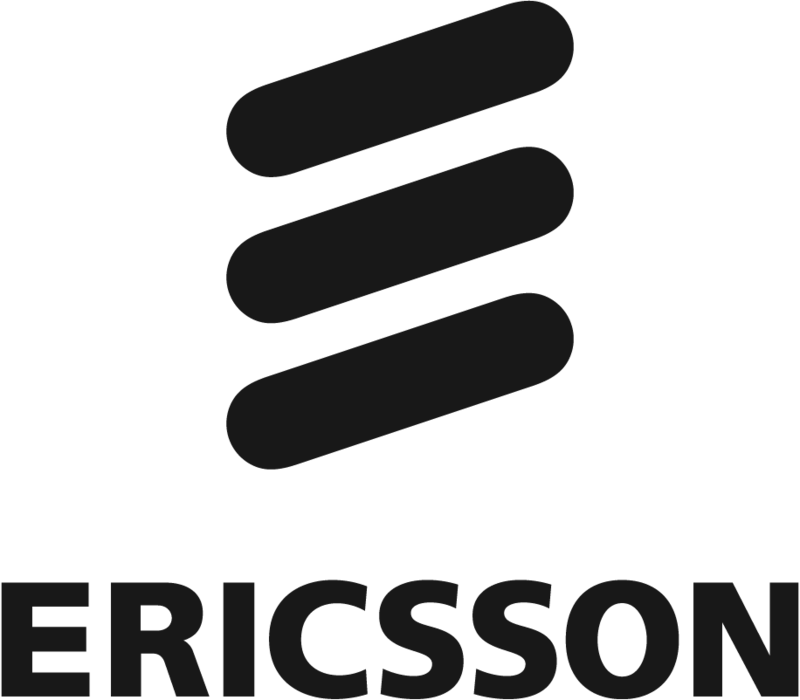 The role of Ericsson in the project will be to provide, assess and tune 5G systems solutions for heavy industry applications and environments, for example radio, core network, network slicing, industrial IoT and data analytics. 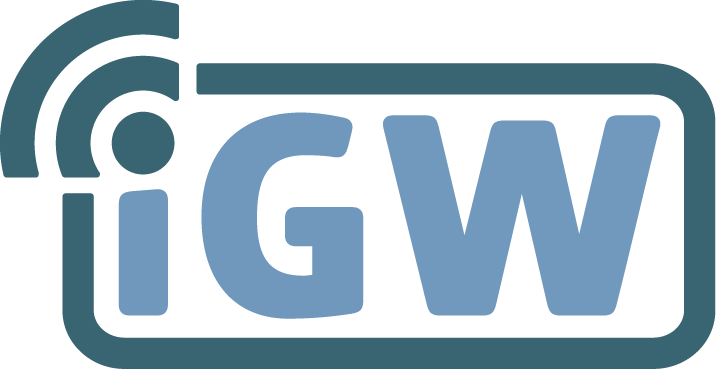 iGW Europe AB is company specialized in cloud solutions for Internet of Things (IoT). Through the scalable platform Byteport© the company provides secure storage and an infrastructure for collection, management and visualization of large amounts of data and devices. Services also ranges from installation, operation and maintenance to building and maintaining customized web-applications. Byteport© is designed from bottom up to suit the needs for embedded systems like the IoT. Responsible for the mass-localisation in cooperation with Mobilaris. iGW manages the mining vehicle computer with all connected sensors, hardware and software that interacts with Mobilaris MMI system to form the complete mass-localisation system. Development, integration and verification of mass-localisation. With a history of more than 125 years, K+S KALI GmbH has more experience than any of its competitors when it comes to extracting and processing potash salts. The unique deposits, which in addition to potash-containing minerals such as sylvinite and carnallite also include magnesium compounds such as kieserite, supply valuable natural raw materials. The Potash and Magnesium Products business unit extracts potash and magnesium crude salts at six mines sites in Germany, which are further processed on site and at a former mining site to create end products or intermediate products. In Canada, the Bethune site, the first green-field potash plant in Saskatchewan, went into production last year (solution mining). In addition, the business unit has three processing sites in France. KGHM CUPRUM R&D Centre provides an engineering and research consulting service for the mining industry. It operates in all service areas linked with mining activity, from project evaluation, through research and development, to project management and supervision of the implementation stage. The company conducts scientific and technological research in geology and hydrogeology, mining, rock-mass mechanics, mine ventilation, automation, electrification and mechanisation, ore processing, tailings disposal, surveying and environmental protection. The personnel of the NMG department will take part in the SIMS project as the contributor to WP-7 (Ground Control), Task T7.3 – Optimization of production blasting parameters conducted for a group 0f faces, aiming for elastic wave effect amplification. Luossavaara-Kiirunavaara AB (publ) is abbreviated LKAB. It is a high-tech international minerals group, world leading producer of processed iron ore products for steelmaking, and a growing supplier of mineral products for other industrial sectors. With pellets and fines LKAB supplies highly processed iron ore products for blast furnaces and direct reduction, services to the steel industry, customized minerals for other industries and mining products and technologies. LKAB has a significant experience in conducting industrial R&D projects in mining technology, mineral processing and logistics, with successful implementation of many R&D results in the company’s processes. The major contribution of LKAB will focus in the area of ground control (WP7). LKAB will mainly participate in task WP7.2 Improvements in Rock Bolt and Mesh Installation Efficiency. LKAB will provide expertize in mining technology and process demands together with test sites for the demonstrators developed. Luleå University Technology (LTU) has a significant experience in conducting high value research and undertaking industrial R&D projects. Moreover, one of Europes leading mining universities, and has been involved in large European and National projects with Epiroc, Sandvik, ABB, Volvo, LKAB, SAAB, SSC, ERICSSON and almost all the major Swedish process industries. LTU is the number one University in Sweden in receiving external grants from the Industrial sector, which proves the leading position of the University in applied and real-life connected research. LTU will enter in the SIMS proposal with 3 Departments namely: a) the Department of Civil, Environment and Natural Resources Engineering, b) The Department of Computer Science, Space and Electrical Engineering, and d) the Department of Business Administration, Technology and Social Sciences. MRE (Mining and Geotechnical Engineering Group) will serve as Work Project Leader for both WP2 (Jenny Greberg) and WP7 (Tristan Jones). In WP2 the primary task of MRE will be to develop the lines of communication required by the SIMS consortium in order to meet the needs of the project. Establishment of clear, straightforward means of information distribution and dissemination will allow the consortium to keep all stakeholders aware of the project’s advancements and conclusions. This will increase the value of the work being completed within SIMS, as with greater awareness and higher stakeholder interest, comes increased likelihood of technology adoption (T2.1-2.5). MRE will also develop training and education modules (T2.6) based on VR technology aiming for mine workers, the general public as well as other stakeholders In WP 4 the task of MRE will be do develop the virtual mine (T4.3) and to be responsible for field trials and evaluation for the demonstration of the T4s (T4.7). MRE will also assist the exploitation of the results. In T4.6 MRE will be responsible for the performance assessments related to simulation. In WP 6 the task of MRE is to be part of T6.7 –Field trials Evaluation and exploitation where T6.1-6.5 is analysed and evaluated, and to be part of T6.6 –Economical impact and impact to the environment measurement. In WP7 the primary tasks of MRE will be project management and WP evaluation. As WP evaluator MRE will work with the other WP partners to assist in the classification and quantification of project outcomes. For instance, MRE will view and evaluate the outcome of each component of WP7 such that it can be clearly communicated, in association with WP2, to stakeholders. The Robotics Team of Luleå University of Technology (LTU-CEG) is leading the WP5 Robotics in Mining. The team is currently leading the biggest European project in Aerial Robotics in Horizon 2020, called AEROWORKS, while has significant experience in developing Unmanned Ground Vehicles (UGVs) and any form of automation and robotics in real life applications where advance TRLs are needed. Furthermore, LTU-CEG will participate in WP3 towards the mining positioning, based on the extended experience of the group in UWB localization. More specifically, LTU-CEG in WP3 will participate in T3.5 and T3.6 towards the development of the UWB localization and demonstrating in a mine environment, as well as in T3.7 towards the application of the UWB technology in the task of low cost mass localization of assets. Furthermore, the major contribution of LTU-CEG will focus in the area of robotics in the mining. In T5.1 CEG will work towards the specification and collection of the mining requirements and the ways to evaluate the corresponding robotic technology. In T5.1 CEG will enhance the concept of assistive remote operation of robotized machines with virtual reality, specifically tailored down to robotics in mines. LTU-CEG will focus on the demonstration and the applicability of semi-autonomous and fully autonomous Unmanned Aerial Vehicles (UAVs) for search and mainly inspection tasks in mining environments. In WP5, CEG will also lead the field trials evaluation and will assist the exploitation in the results. The contact point for the Wp5 and the Robotics Team is Prof. George Nikolakopoulos. HWS (Human Work Sciences) is responsible for WP9 Attractive Workplaces. The role for WP9 is to be part in creating safe and attractive workplaces by deeply interacting with other work packages and influencing their design. WP9 is also responsible for ensuring that gender aspects are taken into account in the various development projects. WP9 has an important role for the social acceptance of the new technology. Mobilaris was established in 1999 as a spin-off from Telia Mobile and Telia Research. In 2000, Mobilaris launched the world’s first LBS platform together with Telia and Ericsson. Mobilaris has been delivering world leading position based decision support systems for the last 15 years to telecom operators, authorities, and industries. Solutions from Mobilaris increases safety and enhances efficiency by introducing easy to use applications, real-time visualization and middleware with open API:s. The last three years Mobilaris has brought all this experience into mining operations. Mobilaris will take part in WP 3, WP 4 and WP 5. Mobilaris will provide a positioning platform solution and technology (positioning algorithms, visualisation and disition support) for underground positioning and also provide aggregated sensor data from the the mine backbone communication networks. RWTH Aachen University has for many years been ranked as the top technical University of Excellence in Germany. Joint research with industry and large collaborative research centres are a particular strength of this partner. The Institute for Mineral Resources Machine Technology (IMR) is part of the Division of Mining Engineering, Mineral Processing and Recycling at the RWTH Aachen University. The research activities of IMR are subdivided into four areas of application; Sensor Technology and Automation, Diagnostics and Maintenance, Rock cutting as well as Simulation and Engineering Tools. IMR will take part in WP 3 and WP 7. Part of the work will be the development and demonstration of the Ultra-Wideband radio (UWB) system for underground positioning systems (T. 3.5). Also IMR will develop the UWB infrastructure in a way so that it can also be employed as a mine backbone communication mesh network. In WP 7, task 7.6 will lead to the demonstration of thermal imaging in the application of face analysis. This technology can be used for roof crack detection, too, which will be part of Task 7.7. Copyright © 2017-2020 SIMS Project.